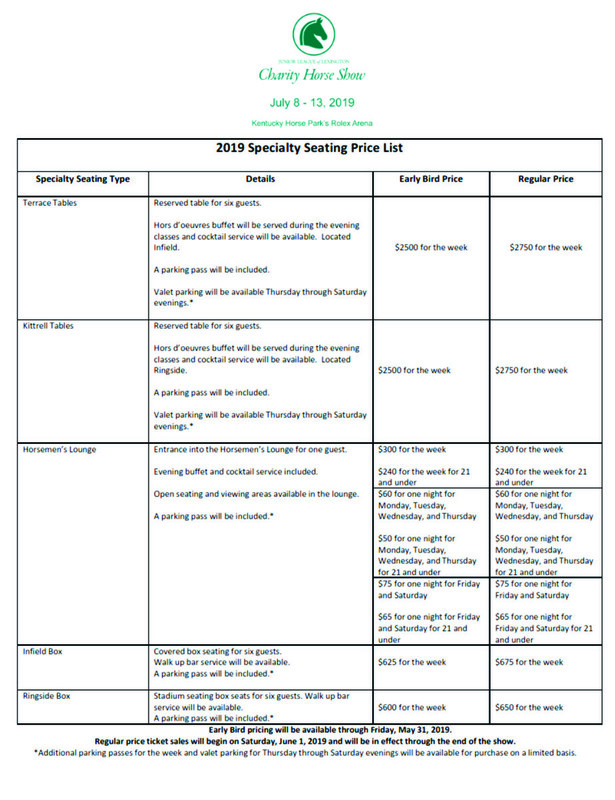 To download the Boxes/Specialty Seating price sheet, click here. Reminder: Early Bird pricing will be available through Friday, May 31, 2019. To view the JLL Box Seat/Specialty Seat Renewals Policy- click here. A $10 postage and supplies fee will be added to all Box Seat orders.